*The mannequin is wearing Large size. 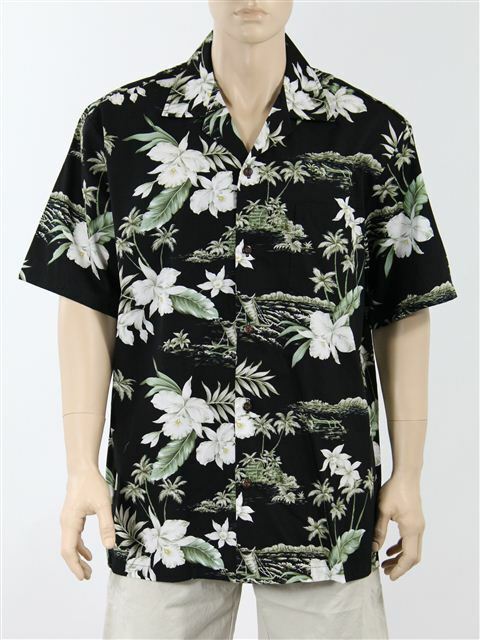 Aloha shirt with orchid and outrigger canoe print. Wish the cloth was a little heavier, but I love everything else about this shirt.